Accrington has lots more planned for the festive season beyond its Christmas lights switch-on event on 24 November. 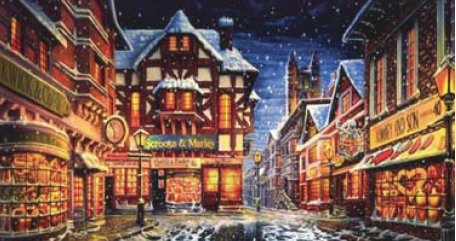 On Thursday 8 December Warner Street will travel back in time for its award-winning annual Dickensian Christmas Event. From 5pm the whole family can revel in delight at the musicians, street entertainers and fire eaters and have fun on the Victorian-style fairground rides. Many of those taking part will be dressed in Dickensian costume, adding to the atmosphere of the event. An outdoor craft market will be the place to go for unique gift ideas and traditional festive street food will be on offer including mulled wine and roast chestnuts. Accrington Pipe Band will provide a rousing soundtrack to the evening and lead a stunning candlelight procession to the outdoor carol service at St James’s church yard at 8.30pm. Shops in the Arndale Centre will stay open late until 7pm on Thursdays during December, as well as between 10am and 4pm on Sundays to help festive shoppers get organised. To find out more about the Dickensian Christmas event on Warner Street in Accrington on Thursday 8 December, visit the event’s Facebook page.